Want to learn more about model based systems and software engineering? Here are a variety of resources to explore. This article contrasts a good, executable UML class model with a bad, and all too common imprecise UML model. The good model expresses platform independent application rules unambiguously. This article illustrates the platform independent timing and synchronization rules that modelers use and architects implement to support Executable UML® applications. This is a set of animations to accompany the article above. You can also find it on Youtube. 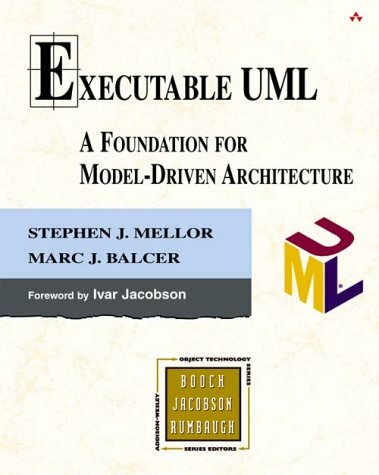 This is the definitive description of the Executable UML modeling language that we use. Some tools directly support this language. Many other modeling tools can be customized to provide partial or complete support. We work with a variety of tools, but this is the one and only Executable UML we support. This book describes the overall methodology of model based development where models are translated into code. This is the 2nd edition of Leon's practical guide for modelers with an emphasis on building useful class models and analyzing system requirements. This book is currently out of print, but Leon is planning to move much of the content forward into a new publication. Find your executable modeling inspiration with our latest caffeineware available in the Model Integration Zazzle store. These are High Quality mugs with a nice glossy finish to keep them nice and shiny. This could be the most awesome non-motorized item on your desk. For those of us who like our models ground extra fine.